Concrete stains have come a long way from the earth tone colors they were previously limited to and are now available in many different color options. During the staining process, the color becomes a permanent part of the concrete allowing the flooring to be incredibly durable and beautiful. Because concrete stains do not chip, peel, or fade, they are an excellent choice for long lasting color. Stains can be added to patios, flooring, or concrete counter-tops and are sealed with your choice of a glossy glass-like finish to a matte finish. This allows you to choose a custom color and finish that is all your own. Wrays Concrete in Summerfield NC is your first choice in stained concrete! The patio of your home is a gathering spot for family get together and for a relaxing night in lawn chairs. Likewise, a patio for a commercial business, such as a restaurant, is a huge draw for customers. Choosing a concrete patio expands the living space outdoors with a long-lasting outdoor living solution. You can customize your patio's look with a variety of concrete applications, including stamped or stained concrete solutions. For your next or new patio, sidewalk, driveway, or swimming pool area in Summerfield, Wrays Concrete should be your first call to get it done right! If you choose resurfacing to upgrade the look of your concrete, you can save money, resources, and minimize the amount of waste produced. 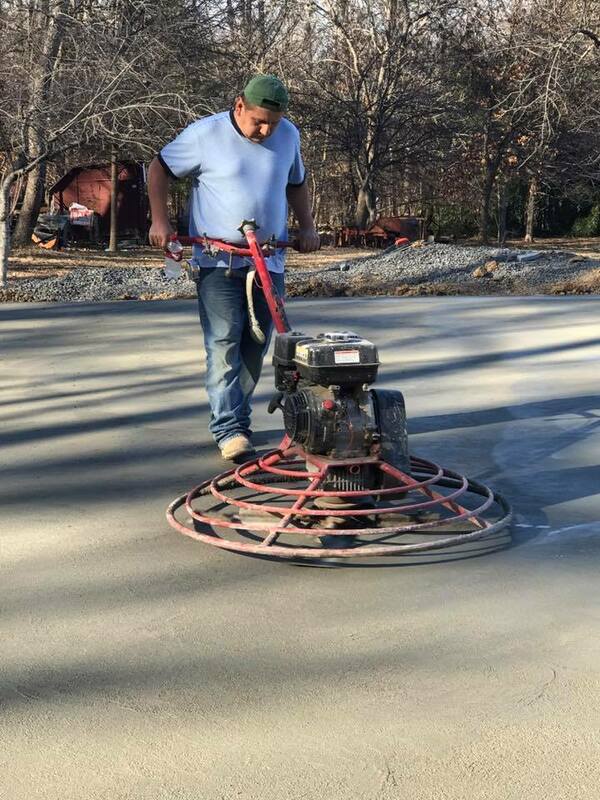 If you are considering ripping out your concrete application for something different, we would love to talk to you about the many resurfacing options available. For the best resurfacing contractor in Summerfield NC, Wrays Concrete Finishing should be your first call!